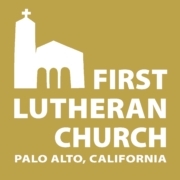 First Lutheran is on the corner of Homer and Webster, in downtown Palo Alto. Parking is available on Sundays and weeknights at 652 Homer Ave (please disregard the signage in this lot) and 850 Middlefield Rd. Two hour street parking is also available Monday through Friday, between the hours of 8am and 5pm. Street parking beyond two hours is available after 5pm on weekdays; all day Saturday and Sunday.